In our previous article, we talked about how to mature your organisation’s approach to content strategy. We covered off three key things you can do to move your company forward in 2016. 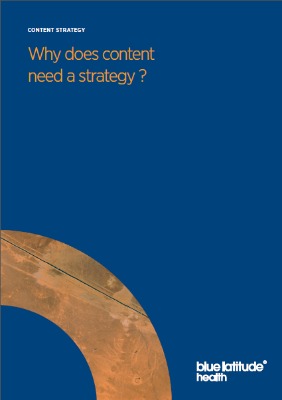 However, not all organisations are in a position to look at maturity – for some, there’s still a pressing question that needs answering: Why does content need a strategy? A documented strategy for content creation ensures that all content serves a strategic purpose, and is in line with business objectives, as well as customer needs. When content is brought into the strategic process at the beginning, it can shape thinking and drive the overall brand strategy. For example, some of our clients have the problem of having too much content and no content owners. There isn’t a documented strategy in place for content creation, so new content is constantly being created to meet brand teams’ needs. This tends to mean that there is a proliferation of content, but no strategic guidance around how that content should be created or understanding of how each piece of content will meet business objectives and customer needs. In these cases, a documented strategy has empowered the brand teams to create less content, but the content that was created was purposeful and served a strategic purpose.